Classic Film and TV Café: James Drury Chats with the Café about "The Virginian," Sam Peckinpah, and "The Yank"
James Drury Chats with the Café about "The Virginian," Sam Peckinpah, and "The Yank"
Television Western icon James Drury starred as The Virginian on NBC from 1962-71. The 90-minute series aired 249 episodes, making it one of television's most enduring Westerns. The series continues to air today and attract new fans. Mr. Drury, who was inducted into the Hall of Great Western Performers at the National Cowboy and Western Heritage Museum, graciously agreed to sit down for a chat at the Café. Café: Prior to The Virginian, you appeared in Ride the High Country (1962), directed by Sam Peckinpah and starring Randolph Scott and Joel McCrea (who once played The Virginian in a movie). What was it like working with that group? James Drury: It was a wonderful experience. Working with two such prominent and well-known actors as Randolph Scott and Joel McCrea was a great honor and privilege for me. And of course, Sam Peckinpah, who went on to direct The Wild Bunch and many other great movies, was just starting out in his career. I guess he’d done some movies before that, but this was his first major studio-backed movie. It was made at MGM, which at that time was a big, big studio. Everything involved in the film was first-class. Sam Peckinpah had a vision about a movie he was directing that he always kept at the forefront of his mind. We were never really told about the whole vision, but we trusted him because he was so easy to understand and easy to communicate with. He gave us all sterling direction and it turned out to be a classic film. It’s shown at least once a week somewhere on television and I’m always proud to hear about it. I was very delighted to get that role. That role, I think, partly influenced my selection as an actor to play The Virginian. Mariette Harley and James Drury in Ride the High Country. Café: Before being offered the lead in The Virginian, you made a pilot for a 30-minute Western series called The Yank. What would have been the premise of that show? Nick Adams as The Rebel. James Drury: The Yank was a story of a man who had been a medical doctor before the Civil War. He had left his medical career behind and had gone to war with the Northern army as an artillery captain. The show takes place in a decimated South. Most of the Southern doctors had been killed in the war. There were only a few of them left. The lead character took to heart the words of Lincoln’s Second Inaugural speech when he said: “We must bind up the nation’s wounds." The Yank went to the South and offered his services as a doctor; the show would have consisted of stories of his adventures in the South. It was a spinoff of a very popular series with Nick Adams called The Rebel. Andrew Fenady was the producer of both shows and he wrote a wonderful script. At that time, the networks were going to one-hour shows and they were abandoning the half-hour Western format. Since we were a half-hour pilot, we weren’t picked up. It was a heartbreak to me when it didn’t sell, but if it had sold, I probably wouldn't have had the opportunity to play The Virginian. So, everything worked out for the best. Café: During the nine-year-run of The Virginian, your ranch foreman worked for Judge Garth (Lee J. Cobb), Morgan Starr (John Dehner), John Grainger (Charles Bickford), Clay Grainger (John McIntire), and Colonel MacKenzie (Stewart Granger). Who was your favorite owner of the Shiloh? The Shiloh's first owner in the opening credits. 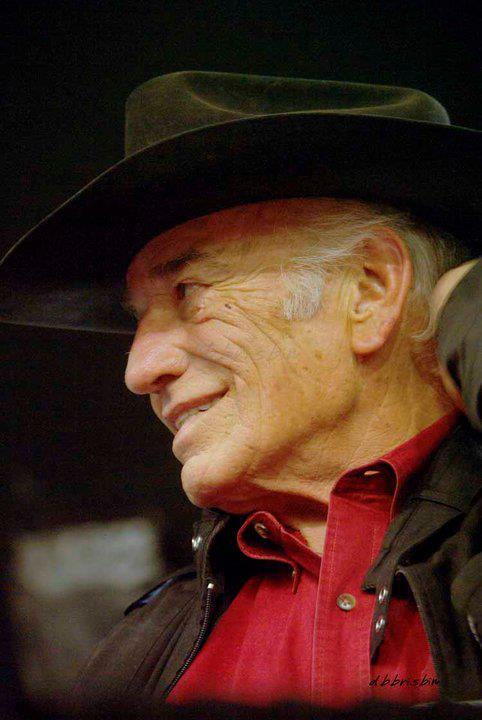 James Drury: All those lead characters played the owner of the ranch at various times in the nine-year run and I enjoyed working with all of them. They all brought something different and unique to the roles. And, of course, Lee J. Cobb was the catalyst that got us started off as a series. Because of Lee J. Cobb’s name being immensely important, we were able to start a ninety-minute series with continuing characters, which had never been done on television before without even making a pilot. We went right into production because Lee J. Cobb was associated with the project. It was a success from the very first show. Lee was wonderful in the role of Judge Henry Garth--but he didn't like the series. He stayed for three years and then opted out. We missed him a lot, but John Dehner came along. He had another take on the ranch owner. He was very strong and very wonderful and I liked him a lot. Then, we came to John Grainger, played by Charles Bickford. He had been a big, big star in motion pictures, a very knowledgeable and wise actor. I learned a great deal from him, things that I use everyday. John McIntire, who played Clay Grainger, was, of course, a monumentally gifted actor. He and his wife, Jeanette Nolan, usually worked together; they did so in The Virginian as man and wife. They brought another important dynamic to the show. Then, we came to Colonel MacKenzie (Stewart Granger) in the last year. I really had very little to do with him. I think we were in one or two shows together; most of the time he was off doing another episode. Of them all, I couldn't pick a favorite and I wouldn't pick a favorite. They were all valuable in their own way. Café: The Virginian's name was never mentioned in Owen Wister's novel, but that must have created occasional challenges for the TV series' script writers. Was there ever any discussion about revealing the Virginian's name? James Drury: No, there wasn't because we were maintaining the framework of The Virginian novel (The Virginian, Horseman of the Plains, written by Owen Wister in 1902) as much as we could. Now, we changed everything else, but we didn't change the fact that the original author did not give the Virginian a name. I believe he did that as a very sound dramatic device, because the Virginian was a mysterious character. When he came into a room and people whispered behind the back of their hand, "There’s the Virginian over there," it gave him an aura of mystery that you couldn't achieve in any other way. That gives the character a mysterious potential. There is no other character that I know of in Western fiction that has had that characteristic. If you notice, the Virginian has been influential in so many of the Western films that were made; in fact virtually all of them. Where did we get The Man with No Name? Where did we get the title to The Redheaded Stranger? 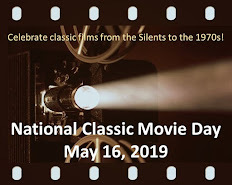 Where did we get the title to all the great Westerns that were made, The Searchers and The Plainsman, The Magnificent Seven and The Professionals? All these movies had main characters that either obscured their name or did not give a name. That harkens right back to the original book published in 1902--a great dramatic device. I enjoyed playing the role. Café: A lot of regular cast members came and went over The Virginian's long run, with you and Doug McClure being the only constants. Who were some of your favorite fellow regulars? 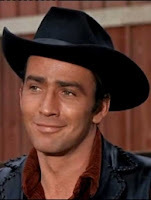 James Drury: Gary Clarke and Roberta Shore started with the show and then Randy Boone and Clu Gulager came in and they all brought a unique perspective to their characters and to the series. They were all my favorites. We changed and Diane Roter came in and then Sara Lane and Don Quine came in. They all did a marvelous job in what they were assigned to do. L. Q. Jones played several guest star roles and then he came on as a regular character, Belden in the bunkhouse. He was a great source of humor and pride. I was really happy he was there because he had been one of my brothers in Ride the High Country. Also, John Anderson, who was my older brother in Ride the High Country, played several guest star roles. I just enjoyed working with all of them. I love them all. Café: Given the current TV landscape, it's hard to fathom the making of a 90-minute TV series with 30 episodes a season. That's like a movie a week. What was the filming schedule like? James Drury and Doug McClure. 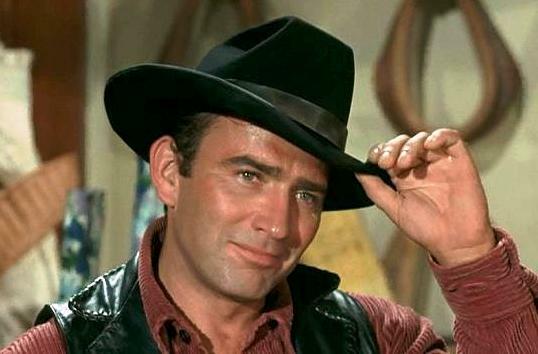 James Drury: The majority of The Virginian episodes were shot in eight days. When we started out, they took about ten days. They decided they couldn't afford that much time because we aired the episodes every five days (excluding weekends). To keep up with the airing schedule, we had to run multiple units--as many as four or five different episodes filming at the same time. I would ride my horse or take the studio limousine back and forth between the sets to do my two line piece in one episode, ten pages of dialogue in another episode, do a cattle drive in another episode, a wild horse drive in another, and then a gunfight and a robbery in yet another episode. I had to keep everything straight and it was absolutely no problem and a joy to do. I would do it all over again tomorrow. It was a horrendous amount of time. I usually got to the studio about 6 AM and usually got out of there around 9 or 10 PM. And then I had to learn my lines for the next day, if I had any time at all. But, I have several gifts that helped me with that, the most important of which is my photographic memory for dialogue. I can’t remember my phone number half the time, but I can remember dialogue from plays I did forty years ago that I’d rather forget. Café: During season 9, The Virginian was restructured as The Men from Shiloh with a format in which you, Doug McClure, Stewart Granger, and Lee Majors rotated starring in episodes. What did you think of the changes? in The Men from Shiloh. James Drury: At the time, it seemed like a good idea. Everybody liked it, everybody endorsed it. I went along with it and thought it would be a good thing to give the show a new look. We all got new costumes and longer sideburns. I got a 7 ½ inch barrel Colt instead of a 5 ½ inch barrel Colt and a new horse. It all seemed bright and new as a new penny. 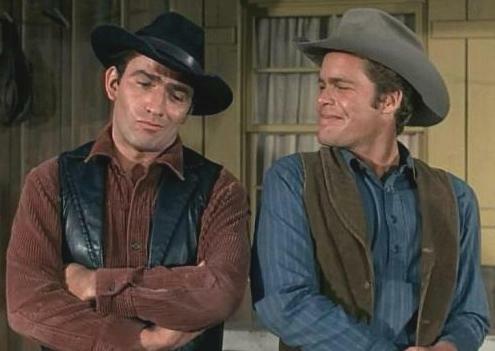 But the American audience was looking for The Virginian in the ninth season and they couldn't find it on their TV. They never heard of Men from Shiloh and we went off the air. So, that just goes to show you, as the cowboy said when he jumped into the prickly pear bush: “It seemed like a good idea at the time”. Café: You've stayed busy after The Virginian, appearing in films and television series, providing the voice talent for audio books, and appearing at classic TV and Western conventions. Are there any upcoming events or projects that you'd like to share with our readers? James Drury (photo from his FB page). 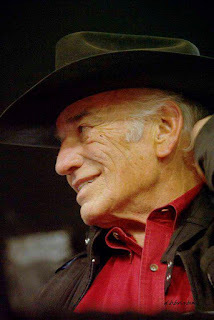 James Drury: All my personal appearances are listed on my website: www.thevirginian.net. I have a schedule of personal appearances that I keep nearly every year. We’re going to the Memphis Film Festival in Tunica, MS (June 13-15, 2013), Cowboy Up for Veterans Horse Show in Swanton, OH (July 20-21, 2013), and Western Legends Round Up in Kanab, UT (August 22-24, 2013). This year, I'll attend some new festivals: Spirit of the Cowboy at Chestnut Square in McKinney, TX (October 11-13, 2013) and Weird West Fest in Giddings, TX (December 7, 2013). There will probably be other event requests as the year progresses. We try to go everywhere that is reasonable to get to and where the event organizers are able to come up with my requirements. I would like to be working in motion pictures every day of my life. At the age of 79, there don't seem to be too many inquiries in that direction. So, I do what I can and hope for the best. That’s about all we can do any day of our life. A cup of coffee and an early morning visit to the Cafe with James Drury. Best start to a day ever! Nice interview, Rick. I liked hearing his insights into how Peckinpah directed his actors. I learned a lot about the Virginian, as I've never seen it. It is impressive that Cobb got them to do a 90-minute show without a pilot. This is a charming and fascinating interview, Rick! I have always admired James Drury's ability to communicate volumes with a look. I enjoyed reading about the impact "Ride the High Country" made on his career. I have not heard of "The Yank" and think its premise sounded very interesting. I am grateful for all of the factors that paved the way for "The Virginian". Thank you for sharing your memories with everyone at the Cafe, Mr. Drury! Great interview, Rick, and a huge thank you to Mr. Drury for taking part in it. I'm a Southern gal through and through (though currently living in the mountain West), so the premise of "Yank" is right up my alley. What a neat show that would have been, though as Mr. Drury says, had it been picked it up, it may well have precluded him portraying "The Virginian." Changing the name from "The Virginian" to "The Men from Shiloh" puts me in mind of the adage "if it ain't broke, it don't need fixing." I'm glad to see Mr. Drury is still so active. Thanks to both of y'all for a great interview. A most interesting interview. I never knew that Stewart Granger appeared on a television show. I wonder what recollections he might have working on Forbidden Planet. I'm very fond of Ride the High Country, too!!!! I have always loved TV westerns, & with INSP showing The Virginian again, I have "re" discovered it as a top favorite. Quality shows like that just aren't made anymore - good scripts, good acting, character development & a good story. The tripe coming out of Hollywood today is unwatchable to me. Thank you, Mr. Drury, Mr. McClure (RIP), et al for working such long hours to bring a quality, family-friendly show into our homes. Never watched the show growing up but have enjoyed it immensely in recent years. Good stories and characters with morals and values. The added bonus of seeing a cavalcade of well known actors guest starring. We absolutely LOVE watching "The Virginian"! Good stories, moral values & so thankful INSP showing it! Enjoyed this interview & insights! Love the show. I really like ones with Lee j cobb. I saw it and record the shows on insp channel. James Drury was a mighty good looking man. He has aged with grace. Thank you for all body of work you left your fans Mr Drury. Work to be proud of! I came across the Virginian about 4 years ago and fell in love with the show. My husband often teases me that I fell in love with "the Virgian himself". Maybe there is truth in that! I have enjoyed every episode and was disappointed when INSP did not run it anymore. Then I discovered it on STARZ Encore Westerns and I am back in the saddle again! I would love to meet Mr. Drury..that would be such a joy! He also was in the Disney movie Pollyanna starring Hayley Mills. He played the beau of the maid Nancy played by Nancy Olsen. I spelled Nancys last name wrong. 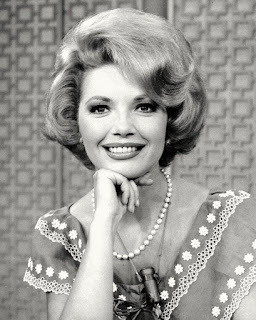 It should say NANCY OLSON.